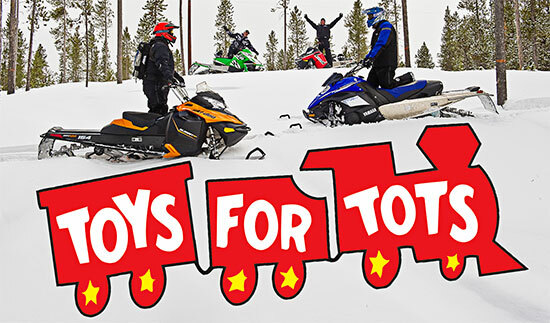 Snowmobile Association of Massachusetts Toys For Tots drive. Thanksgiving has come and gone. The holidays allow quality time spent with family around the table, after the meal is done and everyone winds down, Black Friday is here and the madness begins. When you are out shopping for the holidays please consider picking up a toy or two for those families who cannot afford to provide the kind of Christmas we are used to. Bring those unwrapped new toys (or monetary donations) to your club meeting so your delegate can collect them and bring them to the December SAM meeting, Thursday, December, 6th. Last year we provided over 100 toys and over $100.00 in donations! This goes a long ways in giving kids a holiday they won’t forget. Thank you for being the awesome people we know snowmobilers to be.